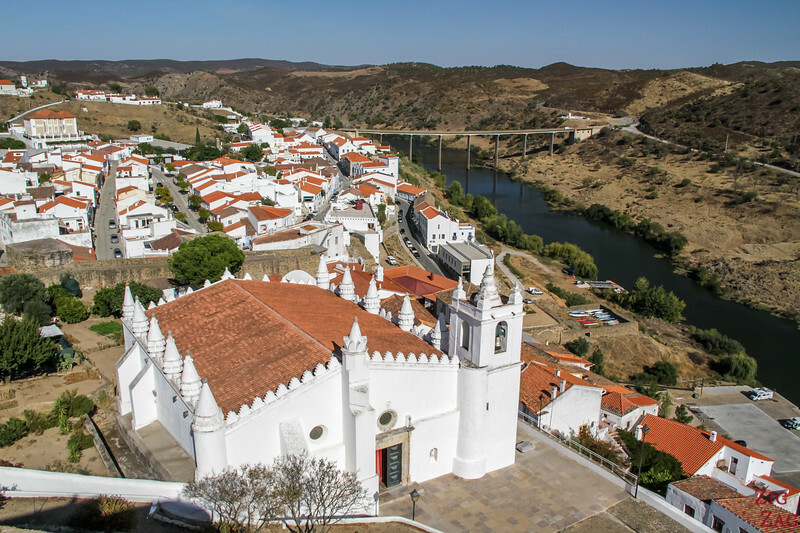 5 Best Villages in Portugal (with Photos) - Charming and Picturesque! When people think about Portugal, they probably imagine Lisbon, Porto or the beaches in Algarve. But drive inland, and you will discover the most charming places. 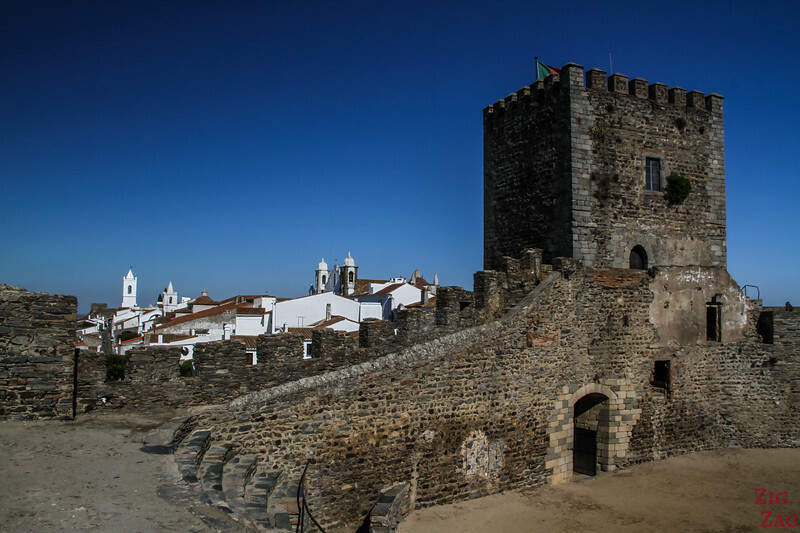 Here are 5 of the best villages in Portugal you should not miss on your itinerary. 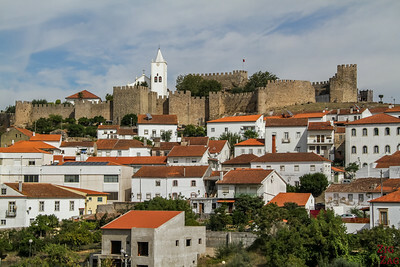 Portugal count a high number of historical villages, especially at the Border with Spain. Many of them are located on hills and fortified making them very scenic. 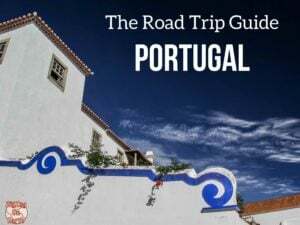 If you can stray from the big hub of Lisbon - Sintra - Porto - Algarve, I recommend taking a road trip and exploring the countryside to discover those little gems of Portugal. 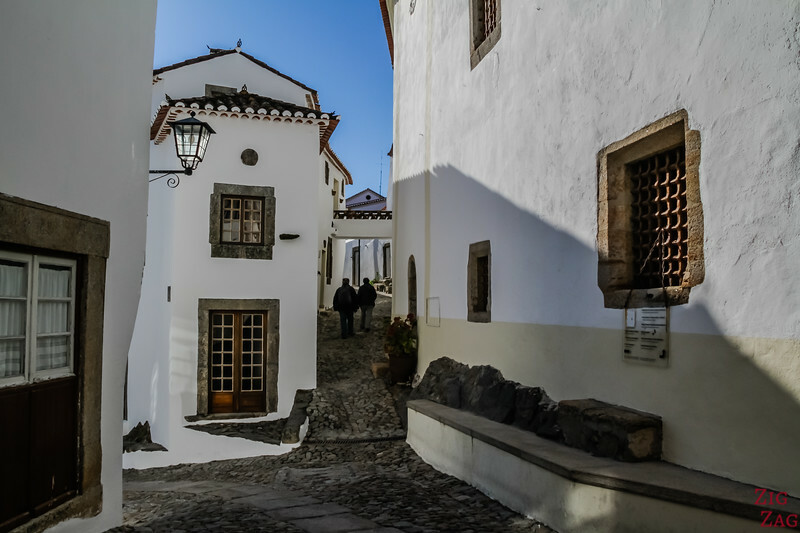 Here is my selection of the most charming ones, "the best villages in Portugal ", based on how scenic they were from the outside and the inside. Monsanto was my absolute favorite village in Portugal. From the outside it is not the most impressive one because its houses are not white, but walk inside and you will discover wonders after wonders. The village has indeed been build around the large boulders​ covering the hill and will a castle at the top. So you get funny structure where they tried making it work around them. Definitively a unique location not to be missed! Note: It received the price for "Most Portuguese village in Portugal" in 1938, yet it was the most unique one!!! 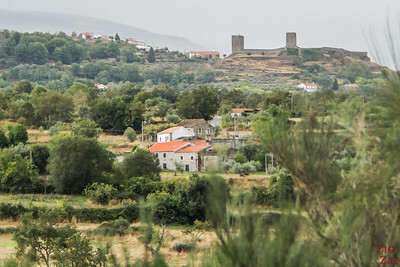 LOCATION: Monsanto, one of the best Villages in Portugal, is located near the border with Spain, roughly, on the Mid-East section. 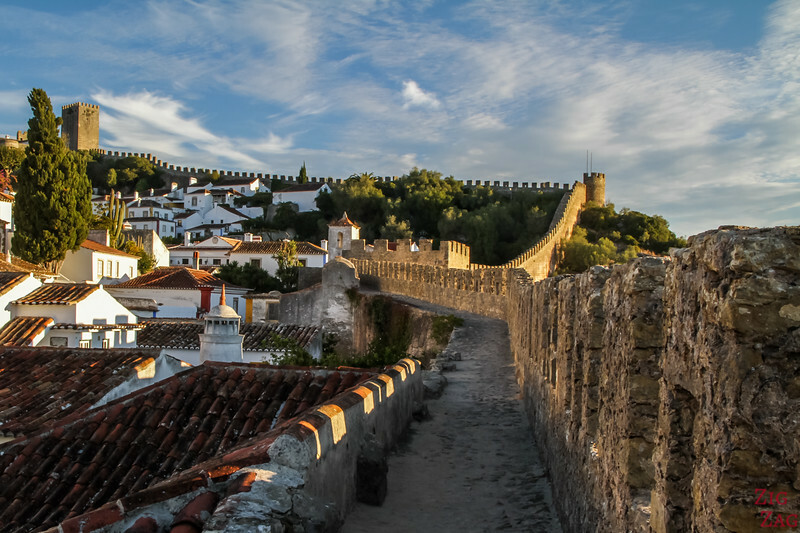 Obidos is one of the most famous villages in Portugal as it is located not far from Lisbon. It is a town, but the fortified center is like a village. 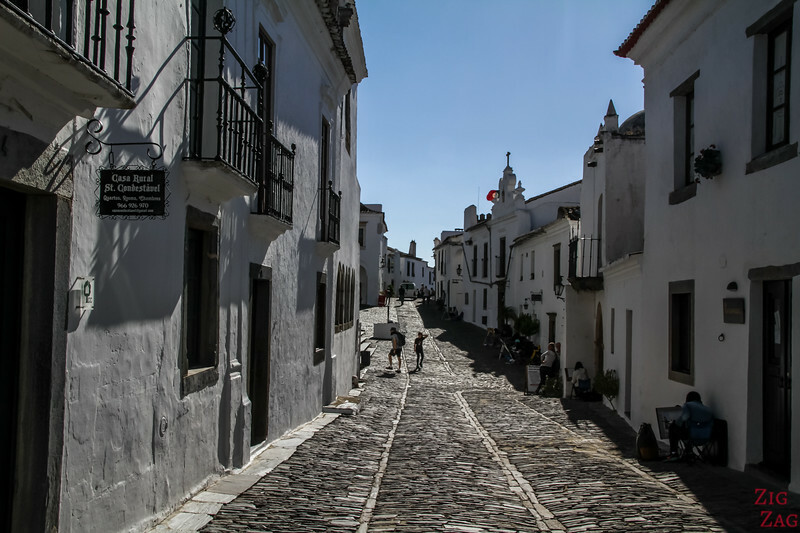 This very picturesque town has a small center full of white houses, cobbled street and surrounded by a wall. At the stands a castle overlooking the village. The best part is that you can walk on the wall all around the town for amazing views! Note: every year Obidos has a chocolate festival and a medieval fair. The Town is then crowded. Check out the dates here. Mertola is rarely mentioned in the lists of best villages in Portugal and yet it is quite a place to visit! 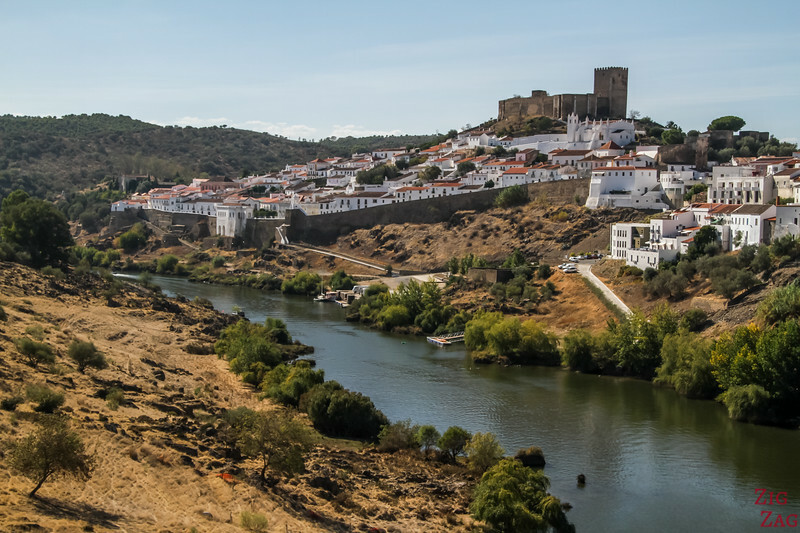 Nestled between River Guadiana and one of its arm this Portugal village is s​tunning with the white houses against the dry landscape. 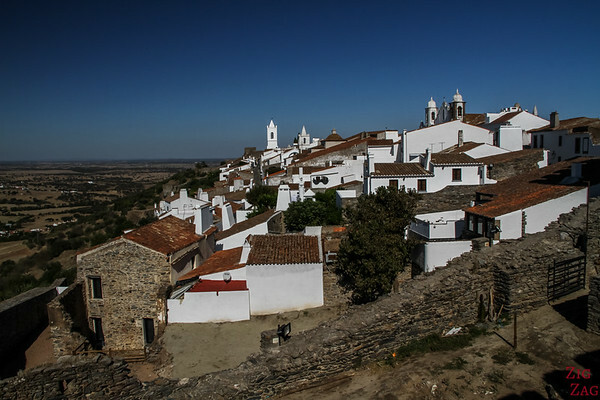 Even though it is built with a similar structure as the other villages in Portugal with white houses, a castle and all of it on top a hill, I think that Monsaraz has a very different atmosphere. It is difficult to explain but painters sure know about it. They sprinkle the streets drawing and painting this stunning Portugal village. This hilltop has been occupied by different people for a long time making it one of the oldest settlements in the region. 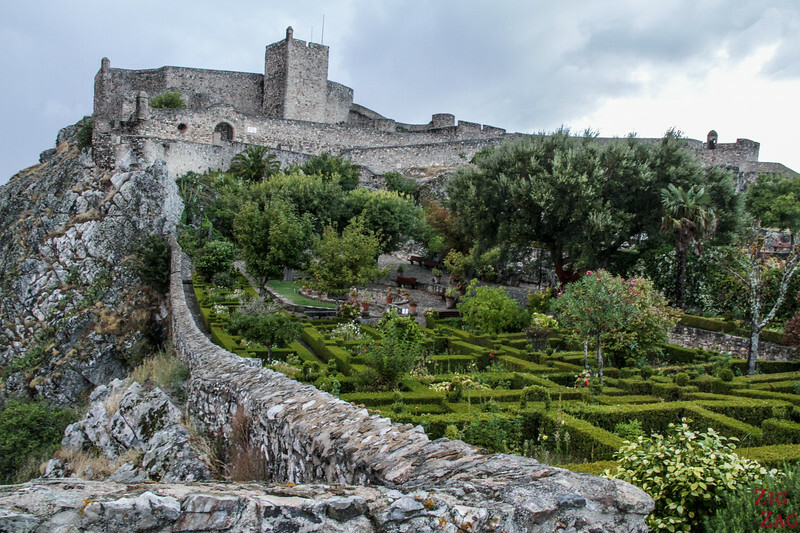 Marvao is another one of the most famous villages in Portugal, probably because the New York Times included it in the 1000 places to see before you die. The castle is not the most interesting one in Portugal, but the village sure has a lot of charm and the views from up there are wonderful. On a clear day you can see all the way to Serra de Estrela. The remote Marvao has been a settlement for a long time. Dolmens and other ancient structures can be found in the area. 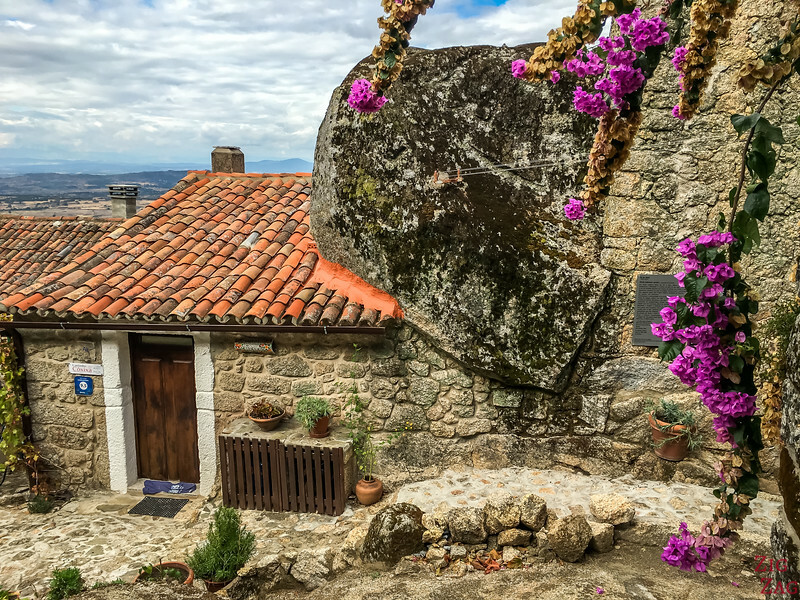 This was my top 5 of the best villages of Portugal. 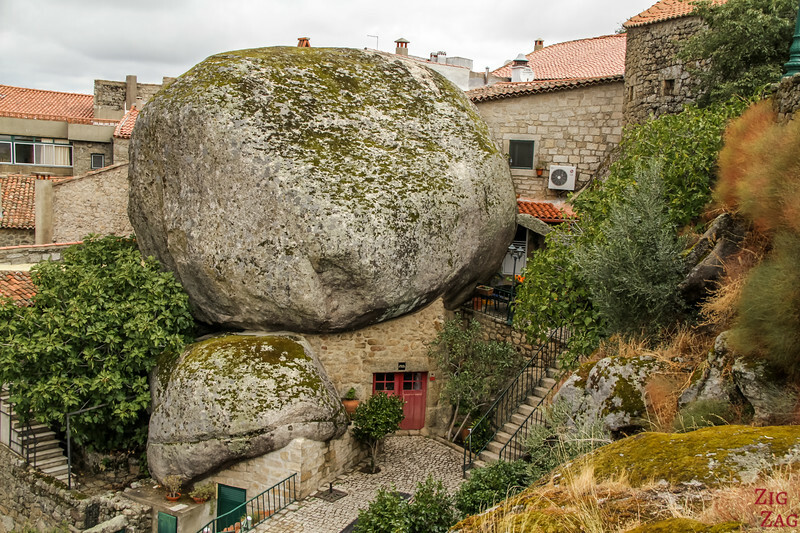 Of course there are many more to discover such as the 12 protected under the Historical Villages of Portugal program. Have been to three on your list and would liked to have visited the other two. Another one I really liked was Guimaraes. Portugal was must first trip overseas and is still one of my favourites. I hope to get back one day.